Kegco's stylish HK38BSU-3 Three Faucet Digital Undercounter Kegerator features a versatile design, easy-to-use controls, and a high-performance dispense system that make it the very best three-tap built-in beer dispenser on the market to complete your home bar, kitchen, or game room. At 3200 therms, it has the most powerful compressor in its class, boasting unparalleled cooling for fast recovery and temperature pulldown. 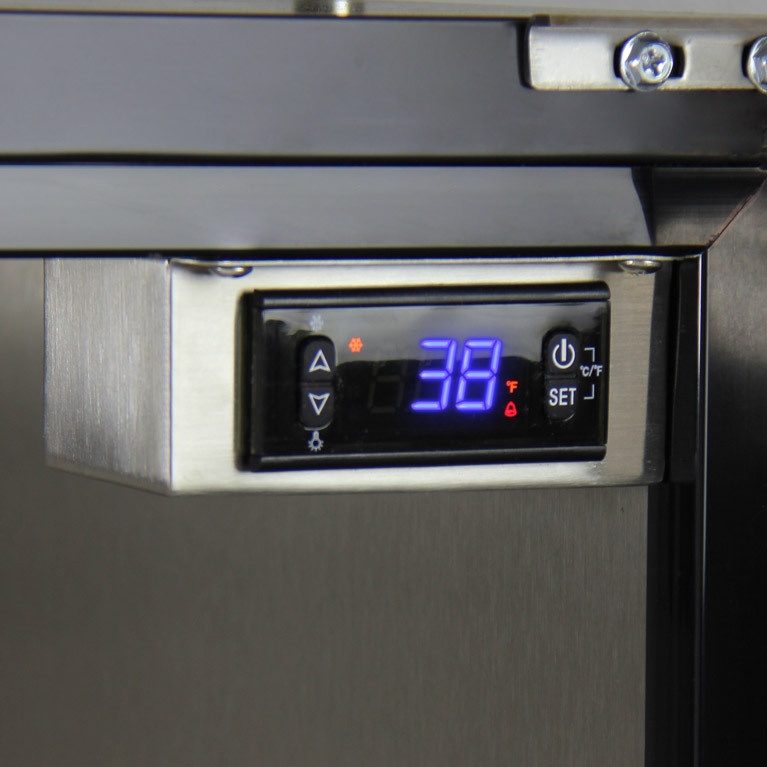 The 23-59 F available temperature range is one of the widest on the market, giving you the freedom to serve cold beer, coffee, kombucha, or even wine straight from the keg. 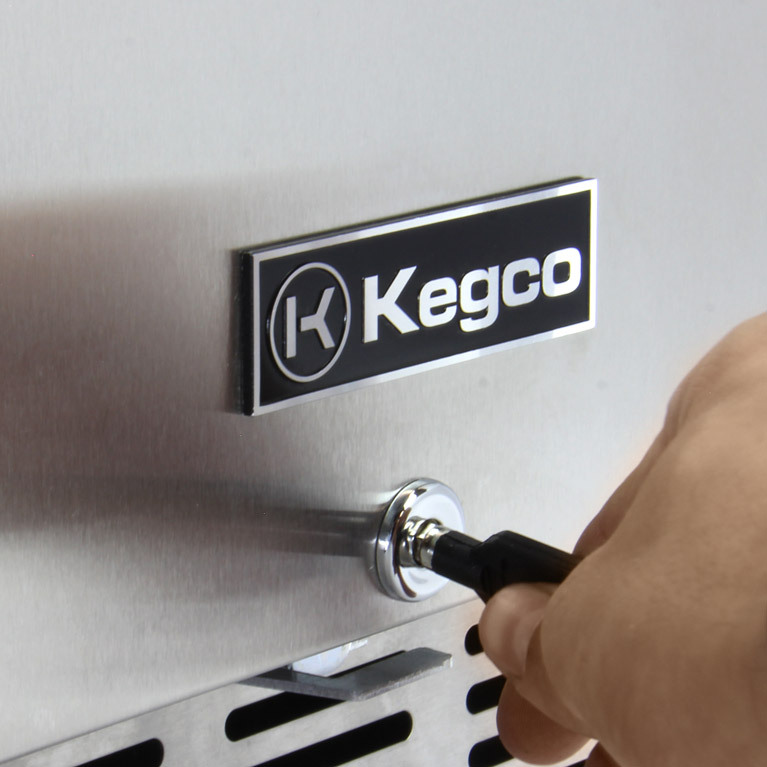 A premium kegerator should have only the highest quality components, so Kegco has included a premium direct draw kit with the HK38BSU-3 that has been specially designed to give you the most convenient and reliable draft beer parts at an unbeatable value. The triple faucet polished stainless steel beer tower has an extra 14.5" height that takes the hassle out of filling growlers and tall pint glasses. Three stainless steel faucets and "D" system keg couplers with stainless steel probes ensure that your beer only touches 100% stainless steel metal components for the ultimate in sanitation. A Pro Series dual gauge regulator is included, so you'll always know when its time for your corrosion-resistant, electric red epoxy-coated CO2 tank to be refilled. to make it easy to maintain the cleanliness of your direct draw kit pour after pour, this keg dispenser even comes with a deluxe hand pump pressurized cleaning kit. 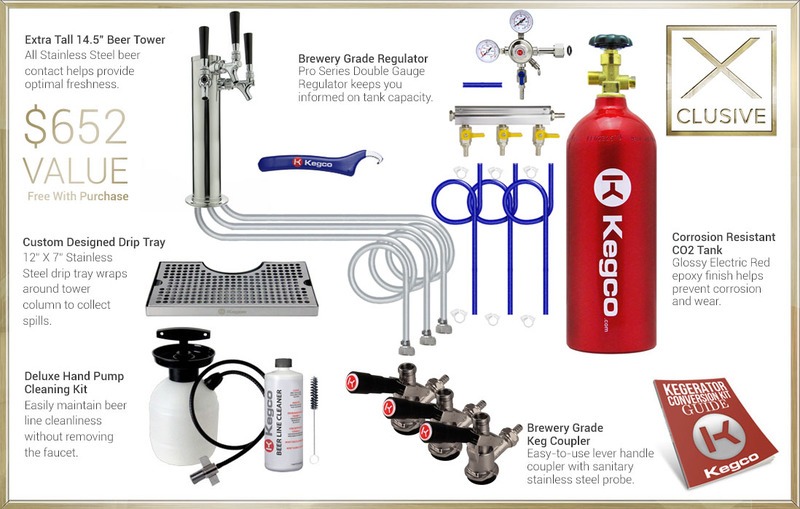 Thanks to the premium draft parts included in Kegco's exclusive direct draw kit, you can be confident in every step of your beer's journey from the keg to your glass! 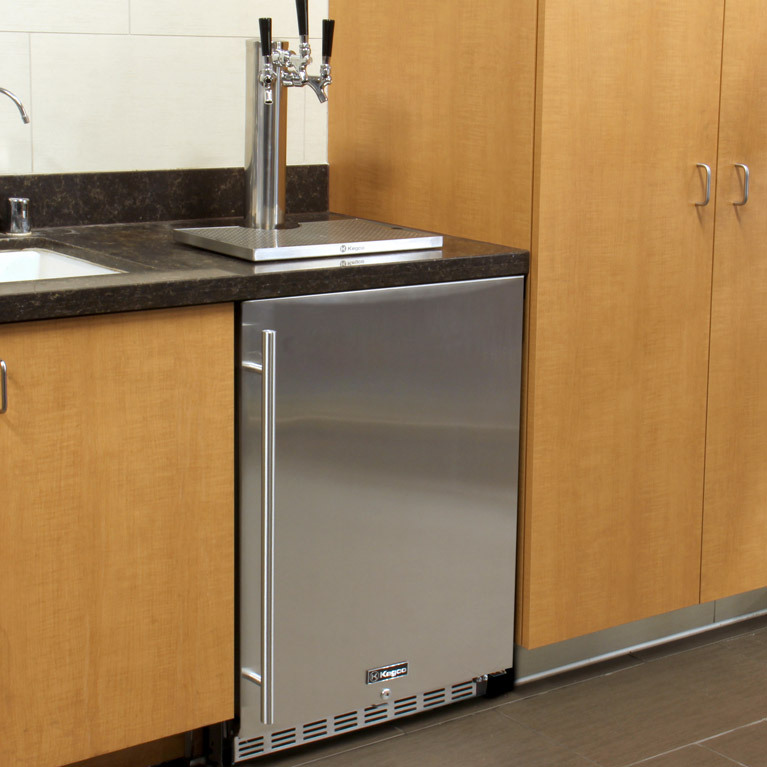 The front-venting design allows you to build this kegerator into cabinetry for a seamless look that is easy to maintain and provides more floor space. A stainless steel guard rail is included to prevent glasses or mugs from sliding off the top in freestanding applications. Easily adjust and view the set temperature, toggle between Celsius and Fahrenheit, or turn the interior light on and off with the push of a button. 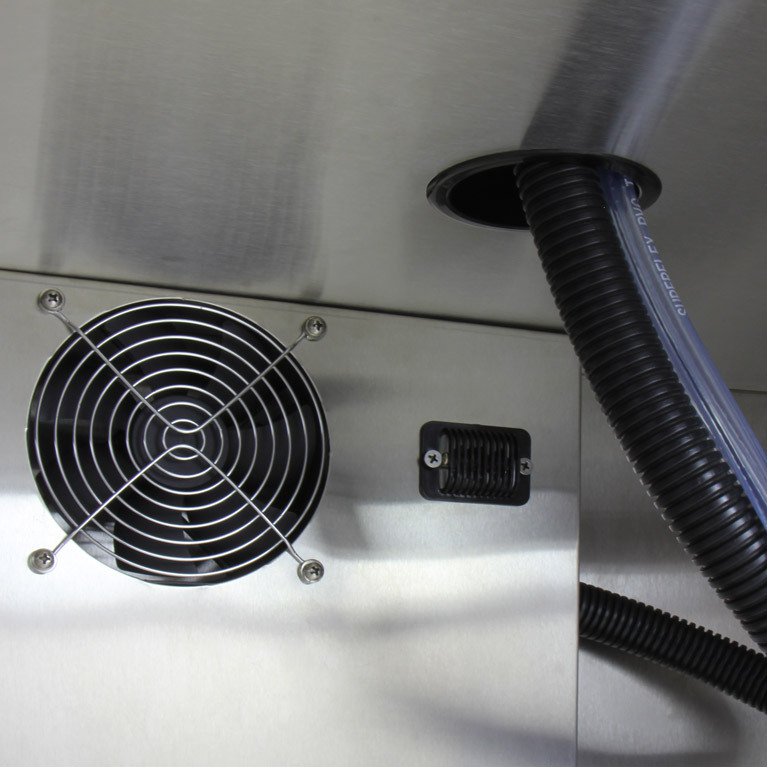 The controls can be accessed effortlessly at the front of the cabinet, out of the way of the dispense system. The beautiful stainless steel interior is more durable than the plastic liner found in many competing models and easy to clean. Enough floor space is provided to house a full size keg, two quarter slim kegs or up to three 5 gallon kegs for a variety of configurations. Two adjustable wire shelves are included, allowing you to convert these beer dispensers into refrigerators when you are in need to extra cold storage. 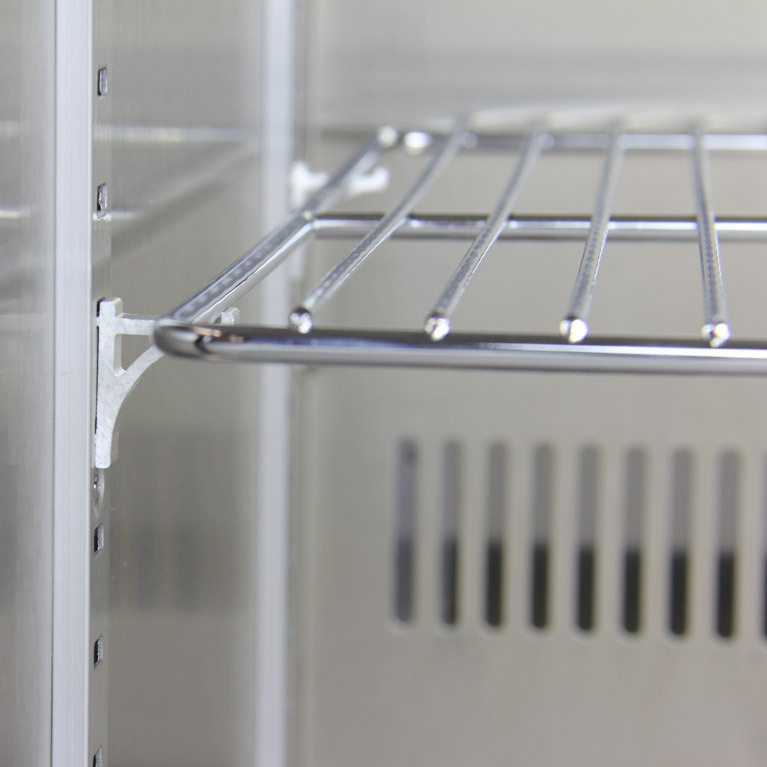 Shelf adjustment is easily done in 1/2" increments so you can space them according to your needs. The attractive stainless steel door includes a lock to keep the contents secure. Both a towel bar and a curved handle are provided, so you can choose which option best matches your furnishings. A door alarm will sound if the door is left open too long. 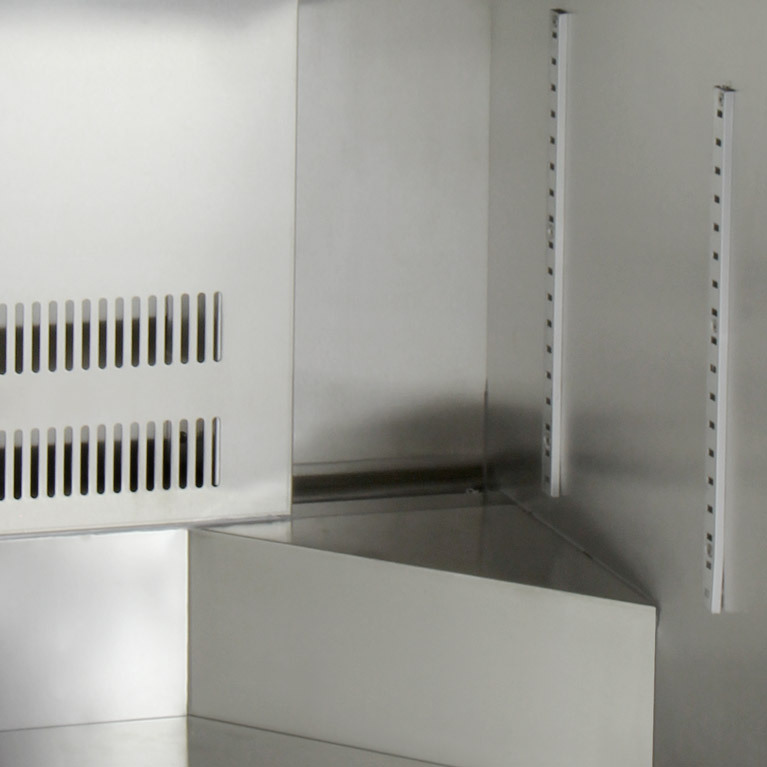 Forced air refrigeration ensures that cold air is evenly distributed throughout the cabinet so there are no hot spots. Cold air is directed into the beer tower, ensuring that the lines are cool all the way up to the faucet so there's less foam between pours.